For my own sake, I once had to check that “ain’t” was a proper word, thinking I discovered a blind spot in my ability to speak and write. I’m still not sure - even when typing that last sentence, Microsoft Word thought I wanted to say “isn’t,” “aren’t,” or “am not” instead. “Ain’t” first appeared in the mid-eighteenth century as a development of “an’t,” itself a contraction of “am not,” or “is not,” with the original “amn’t,” having appeared in around 1610. It is a simple case of words blending over time, with “aren’t” also popping up in about 1675, before “ain’t” became an alternative for that word too. Like the verb “to be not,” “ain’t” can also mean “to have not,” but it took until the nineteenth century for “han’t” to become “an’t,” before the vowel was rounded out in different parts of the country. Having asked around, there appears to be an active dislike of the “aaaaaiiiiiinnnnn’” sound of “ain’t,” with one person reacting like I had threatened to hit them. With the idea of a standard English dialect, devoid of regional differences, being spread by the introduction of regular radio broadcasts in the 1920s, perhaps the sounds of some words no longer fit how English was expected to sound. Having a word that so easily replaces others also gives the impression it is too easy to use when speaking informally, leading to a generally accepted rule that “ain’t” ain’t to be written down. The website oxforddictionaries.com advises “ain’t” is not to be used in a formal or written context precisely because “it does not form part of standard English” – well, punctuating sentences with swear words is not standard English, and I know what reaction I would get if I said that to someone. However, as someone who used “knackered” in a secondary school writing exercise over twenty years ago, describing a particular kind of tiredness, only to see a red line put through it, and “tired?” written above it, “ain’t” can be shown to be the perfect choice of word, without resorting to dredging up examples of when Charles Dickens and Anthony Trollope used it. 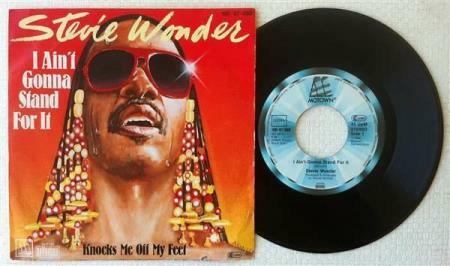 Taking oxforddictionaries.com at their word, are song lyrics not an example of formal writing? Using lyrics as titles for my articles here meant that, this time around, I was spoilt for choice – instead of a Stevie Wonder song, I could have chosen “Ain’t Nobody,” “Ain’t That a Shame,” “It Ain’t Necessarily So,” or even “He Ain’t Heavy, He’s my Brother.” No-one would ever criticise these songs of sloppy diction, in an art form where choosing the right word is as crucial as hitting the right notes, as the single syllable of “ain’t” can be used to provide a powerful punch. Following this reasoning, formal writing cannot deploy language in as strong a fashion as a song, due to the rules we insist on imposing. 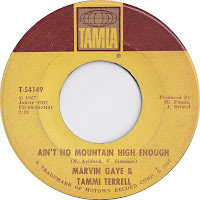 Daring to correct the chorus to “Ain’t No Mountain High Enough” will only dilute the impact of its carefully chosen words – or, if you like, it becomes knackered.